And so Sam Allardyce, one game into his dream managerial job, is sacked. Drawn into a newspaper sting, his bluff views on third-party ownership, the FA, and his predecessor Roy Hodgson, weren’t fully appreciated by his employers. 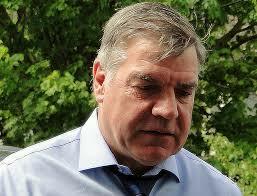 Big Sam, with his well developed track record in stabilising league clubs, was considered a known factor. One that would bring team-spirit and collective unity to England’s dis-connected individuals. And on paper it should have been. But when you walk into the most high profile job in English football, there is no hiding place. If there are elements of your character that aren’t in alignment with the role. then they may get exposed. And of course it’s Sam Allardyce’s responsibility to manage his own character flaws. But one also has to consider the FA’s induction process by which a manager is integrated into the halls and corridors of power. if you have been a wheeler-dealer manager for the whole of your career, then there are going to be some rough edges in your character. It comes with the territory. However, it’s the employers responsibility to create an induction that conditions the incoming manager into his new status. Such an induction would go through many things…amongst them the history of England football managers…their successes…and the reasons why some of them failed. And not just the football reasons. The purpose being to bring to the new managers attention, exactly what is awaiting him as England manager. Allardyce fell into a trap. It was a bad error. But Sam of Dudley was probably not integrated into the necessary watchfulness that comes with such a high profile job. There is a gap between managing in the Premier League to the England job. It was Allardyce’s job to learn the bridge the footballing gap. And his employers job to help him with the rest. And so with yet another failure of leadership, the England managers job loses a little more of it’s fading status.